The FRCOG serves as fiduciary for the Western Region Homeland Security Advisory Council (WRHSAC). WRHSAC was formed by the Executive Office of Public Safety and Security in 2004. WRHSAC is charged with administrating the State Homeland Security Grant for the four counties of western Massachusetts. As fiduciary, FRCOG provides WRHSAC with program management; project facilitation and oversight; meeting administration and support; fiscal administration; and serves as a representative of WRHSAC; in local, regional and state meetings and events. WRHSAC’s strives to implement emergency preparedness projects that provide benefit to the entire region of Franklin, Hampshire, Hampden and Berkshire Counties. A brief summary of a sampling of recent and current projects follows. For more information about WRHSAC including available resources, projects, events and meetings see their website at www.wrhsac.org. The following video provides more information about WRHSAC. WRHSAC has developed a Regional Emergency Shelter Plan Toolkit. The toolkit provides guidelines and specific job action sheets necessary to establish and run an emergency shelter in response to human-made or natural disasters. WRHSAC has developed online training for each job action sheet. Municipal officials or volunteers that may work in an emergency shelter are encouraged to take the trainings. A certificate of training is available for printing once the training modules is completed. 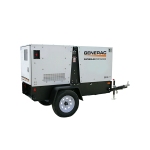 WRHSAC has purchased four mobile generators that first responders/municipal officials may borrow during emergencies and planned events. The generators are 30Kw and mounted on trailers. The generators are located in North Adams, Westfield, Holyoke and Greenfield. For information on how to borrow the generators please see WRHSAC’s guide of emergency equipment and resources. This project will develop a regional, multi-discipline approach to managing large emergencies or disasters in the region by establishing Multi-Agency Coordination Centers (MACC) in western Massachusetts. A MACC is a critical element of a regional incident management strategy that provides support to local Emergency Operations Centers (EOC) in the form of resources and information. This is a multiple phase project expected to span several years. Currently MACC are being established in Berkshire County. The next phase will role the project into Franklin County. WRHSAC has established four caches of handheld GPS units. The caches are available to first responders/municipal officials to use during planned events and emergencies. There is one cache in each county at the Sheriff Offices. To learn more about the caches and how to borrow them, please see the WRHSAC Resource Guide. This project is establishing a network of Community Organizations Active in Disasters (COADS) in Berkshire County and in the Pioneer Valley. COADS can provide assistance to municipalities during an emergency event and in recovery efforts. COADs may be able to assist with housing, food, sheltering, financial needs, donations management, debris removal or many other areas of need. An information brochure about the project is available here. 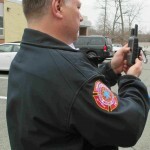 This video series provides western Massachusetts first responders an overview of public safety communications systems and assets in use throughout the region and the Commonwealth. 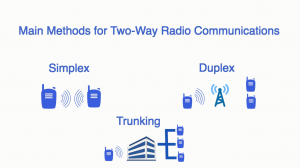 The series provides a foundational understanding of radio communications. A set of twelve videos completes the series.